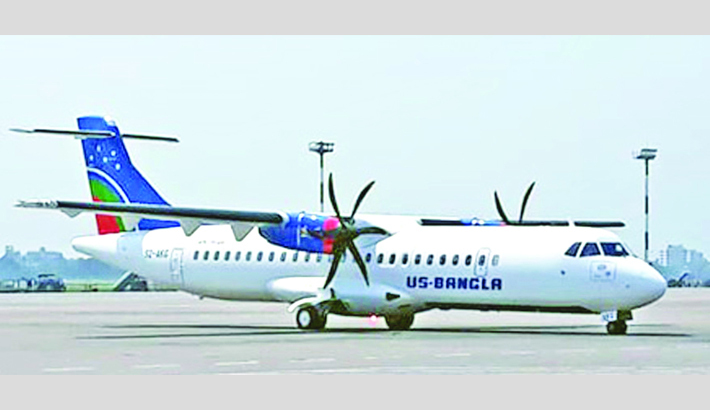 US-Bangla airlines, one of the country’s private carrier, on Sunday added a brand new 72-seat turboprop ATR 72-600 aircraft as part of its plan to increase flight frequency on domestic and regional routes. The ATR 72 is a twin-engine turboprop, short-haul regional airliner developed and produced in France and Italy by aircraft manufacturer ATR (Aerei da Trasporto Regionale or Avions de transport r,gional), a joint venture formed by French aerospace company A,rospatiale now Airbus and Italian aviation conglomerate Aeritalia now Leonardo S.p. A.